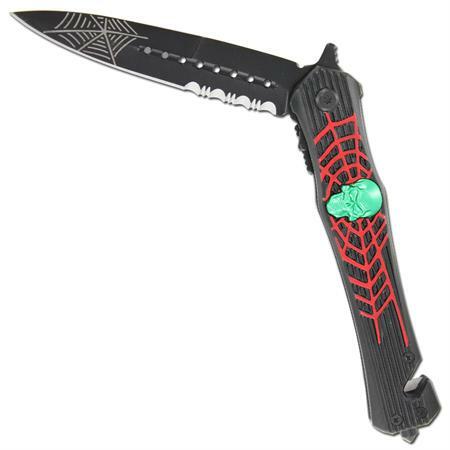 The Venom Web knife offera a ndouble walled anodized aluminum black handle that features a spider web with a green skull for added flair. The spear point blade is constructed of stainless steel with a black finish and a fuller with weight reducing cutouts running down the center. 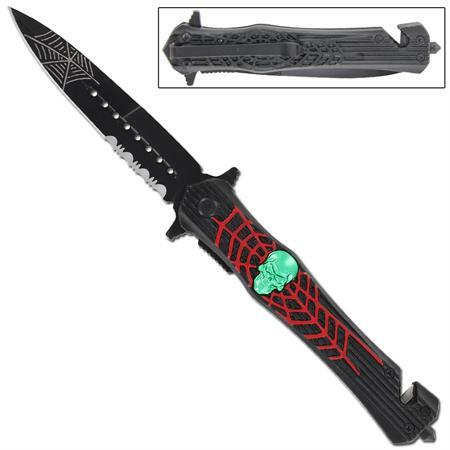 This blade is single edged with a partial serration and a spider web at the tip. For easy opening a double flicker is featured with a liner locking mechanism to lock the blade up tight. 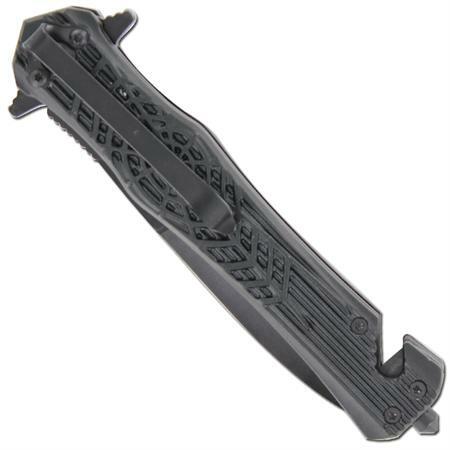 In case of emergencies this knife is equipped with a belt cutter and glass breaker. Included is a pocket clip. Overall length is 9 Inches.